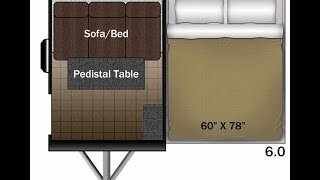 Tired of sleeping on the ground? 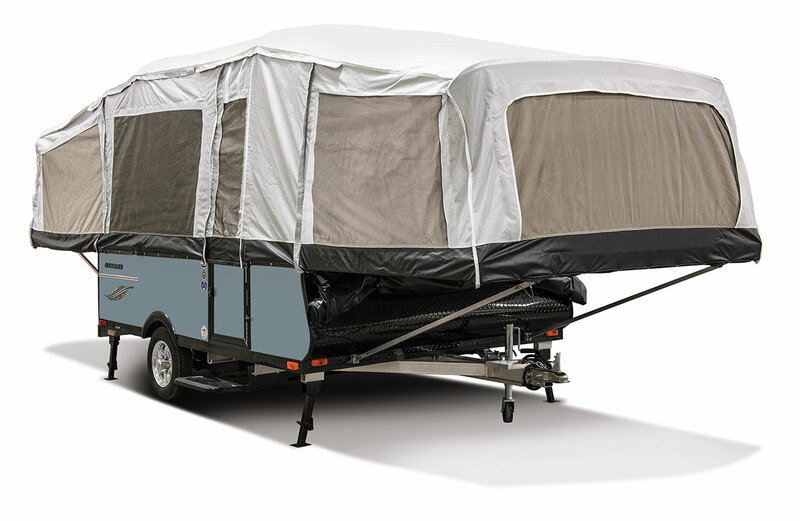 Allow Quicksilver by Livin Lite RV to save you from years of frustration with the NEW innovative design of the 100% ALL ALUMINUM and COMPOSITE Quicksilver "soft-top" tent trailer! 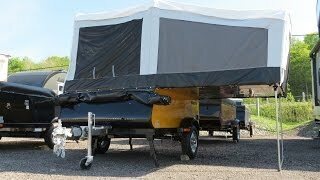 Quicksilver tent trailers have a unique "soft-top" tent design which allows campers the opportunity to save on weight and costly repairs. 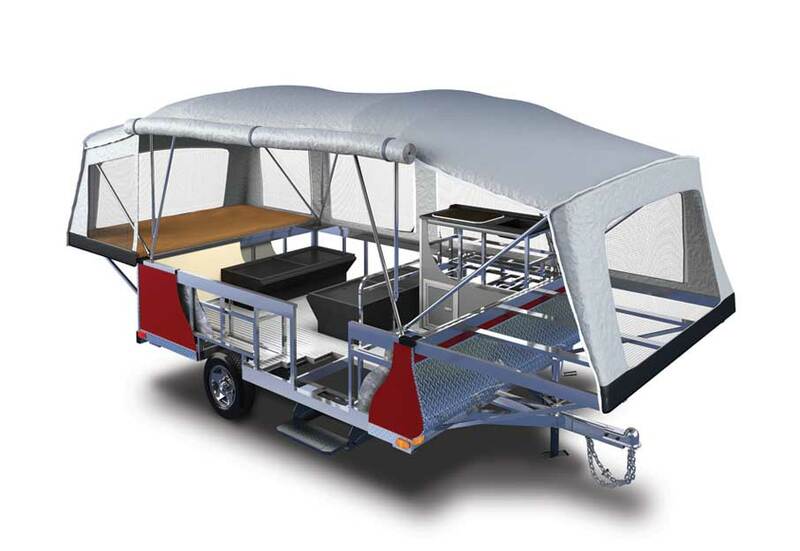 Don't kid yourself, they are loaded with plenty of premium features which are standard to Quicksilver trailers, such as 12" aluminum rims, radial tires filled with nitrogen, 30AMP power converter with power cord, 12V and 110V receptacles, Dexter® Independent Torsion Axle, 12V charging station, spare tire and mount, LED tail lights, front tongue jack with swivel wheel, fold down jacks to easily stabilize your trailer, composite Azdel® interior wall board, interior dome lights, vinyl floor over inter-locking aluminum floor, black exterior trim, all weather tonneau cover, zippered windows with day/night shades, removable dinette table, marine grade vinyl cushions, aluminum cabinetry and much more. 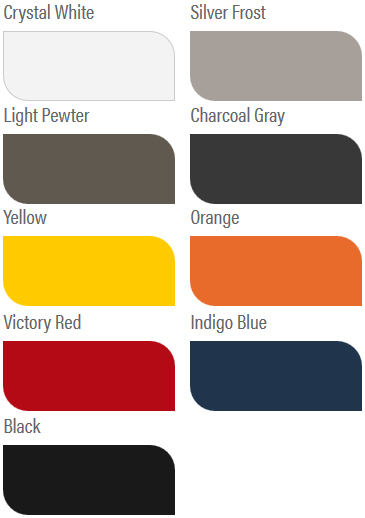 Many options, colours and packages are also available with Quicksilver tent trailers such as off-road package (extra clearance and 15" tires), electric brakes, surge brakes, rear aluminum deck, air conditioner, awning, screen room, 7-way plug, privacy drapes, fan/light package, rug set and LP package (LP stovetop, furnace, residential countertop with sink). 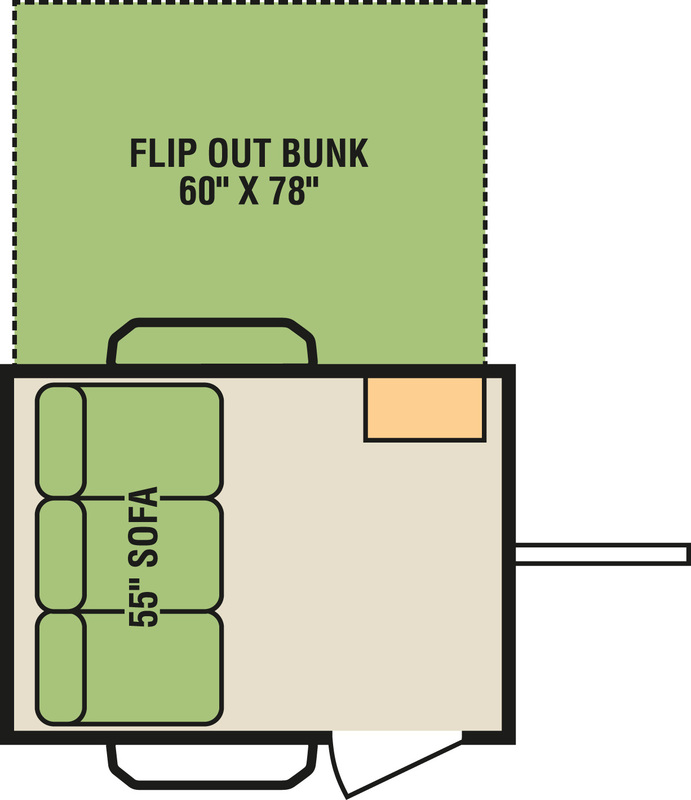 Most Quicksilver floorplans can be towed by a small car/crossover, only 1000 lbs towing capacity is required! You'll be excited to know that the expense of UPGRADING YOUR TOW VEHICLE IS NOT REQUIRED. 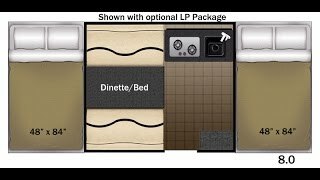 Check it out, invest in the Quicksilver "soft-top" tent trailer by Livin Lite RV and get back to camping in style, comfort and convenience!